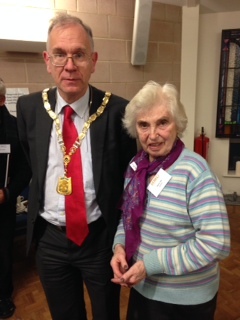 Yvonne and I had chain clearance to attend the Northwood Holocaust Memorial Event. 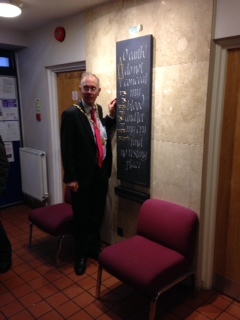 It was held at the Northwood United Synagogue. We travelled by train so we did not have to worry about parking. It was also quicker and more environmental ly friendly. The NHMD events had been going on for two weeks. Over 50 schools had attended events at six synagogues and nearly 3,000 children. We heard Renee Salt speak. She had grown up in Poland. She survived Auschwitz. You can listen to her story online. Her story is also part of a book that has been written. Over 300 people volunteered in many different roles. It is important that we listen to the stories and then make sure we speak out and do something so that we treat each other with respect. We are all unique.